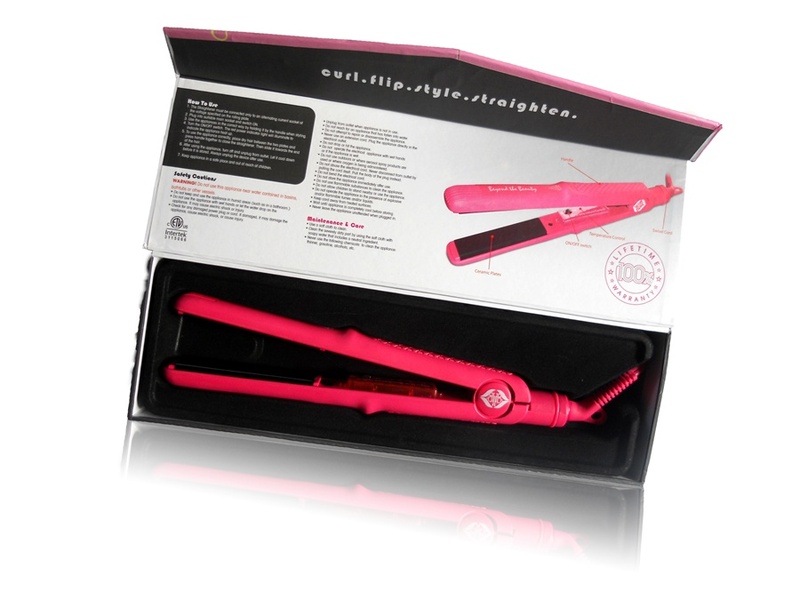 Temperature control up to 450 F� Hottest Straightener Yet! Tourmaline ceramic plates that disperse the right amount of heat. Dual Voltage 110 -240v - 50/60Hz. Includes a free travel pouch. Prestige Pro by Beyond the Beauty Inc, is a professional styling tool that offers endless ways to style your hair effortlessly. You can straighten and curl your hair with endless possibilities. It is an all in one styling tool that not only saves you time but also saves your money. The Prestige offers tourmaline ceramic plates with a pro variable temperature control. This flat iron infuses negatives ions into the hair eliminating static and frizz. Its far infrared technology seals moisture and essential oils into the hair. The Prestige Pro has a sleek and sophisticated design that was made to be lightweight and comfortable to use. Our 1" tourmaline ceramic plates was made to be multi purpose for easier straightening and curling. 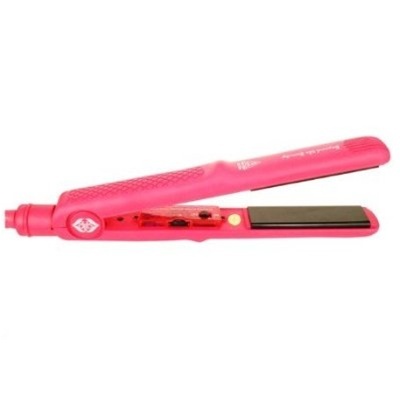 Prestige Pro features: * On/Off switch * Swivel cord * Temperature control up to 450 F� * Multi-purpose design for straightening and curling hair * Sleek and sophisticated design that was made to be lightweight and comfortable to use. * Tourmaline ceramic plates that disperse the right amount of heat. * Tourmaline ceramic plates that locks in hair's natural oils and prevents damaging the hair. * Includes a free travel pouch. * Dual Voltage 110 -240v - 50/60Hz. * Lifetime Manufacture Warranty. I love this hair iron!! Ive used a lot of hair irons and this for sure is the best one! I am so happy with this product, i love it so much! This is seriously the best hair straightener i have used i think in my entire life! Enough said! my hair is stick straight!! FINALLY !!! im so glad i found this straightener! this is the best straightener i have ever had..its so easy and fast to straighten my hair and my hair doesnt frizz up like it does with other straighteners..